Part 2 of my 3 part series on my trip to the Prince Edward County Wine region was a visit to Huff Estates Winery, one of the most spectacularly beautiful wineries I have ever visited. 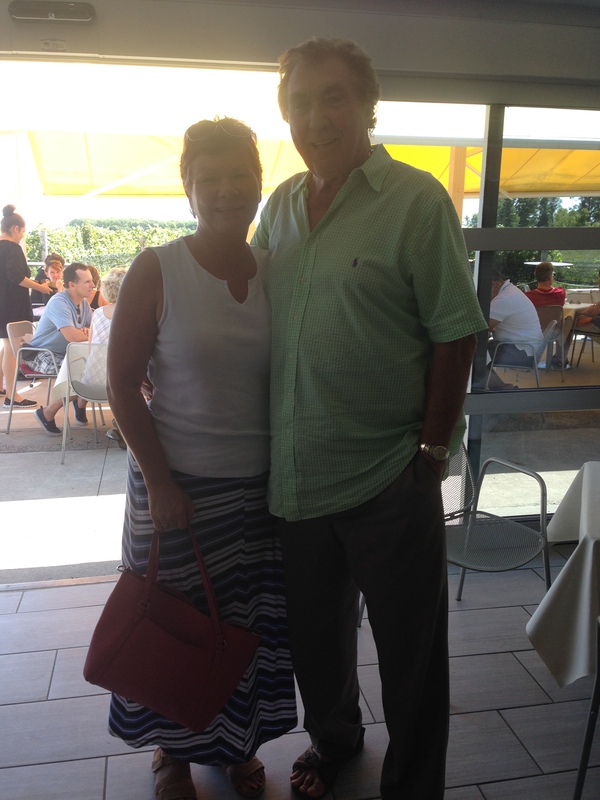 Stunning views with an art gallery on site, as well as a sculpture garden and did I mention fantastic wines. Lanny Huff, the owner, pictured with me above, planted vines in 2001 and he says because of 2 great Summers, was able to produce his first vintage in 2003. 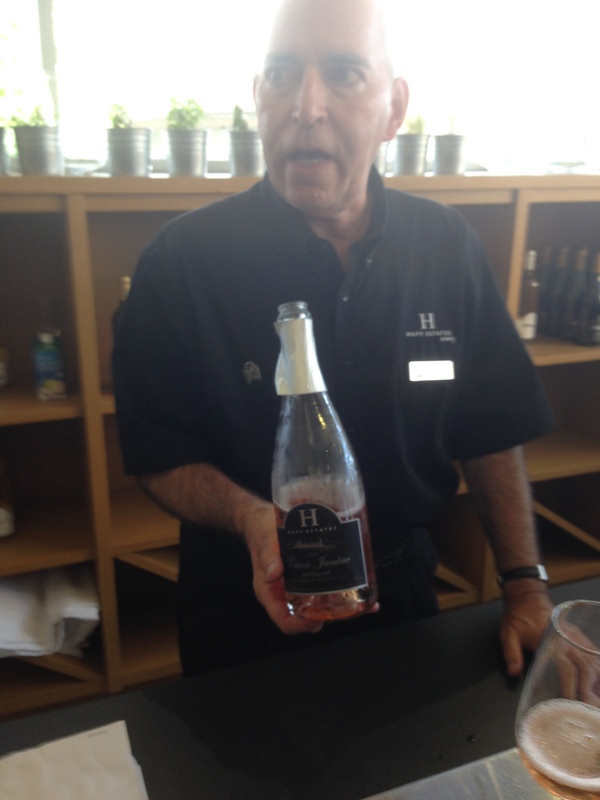 This is Brian, a Sommelier at Huff who did our wine tasting for us. Brian knows his wine! He is holding up a very special wine, called Cuvee Janine, a sparkling Pinot Noir. It was my first time trying a sparkling Pinot, and I liked that it was nice and dry. It had a gorgeous salmon color that featured lovely aromas of cranberry and strawberries. I loved the effervescence on this wine, and thought it would pair great with some spicy foods, Indian and Asian cuisine. In my opinion it would also be a great patio wine. Prince Edward County, because of its limestone soil, is known for Pinot Noir and Chardonnay. Well, I think they are putting out some top notch Riesling wines as well. I love Riesling, and this one did not disappoint. 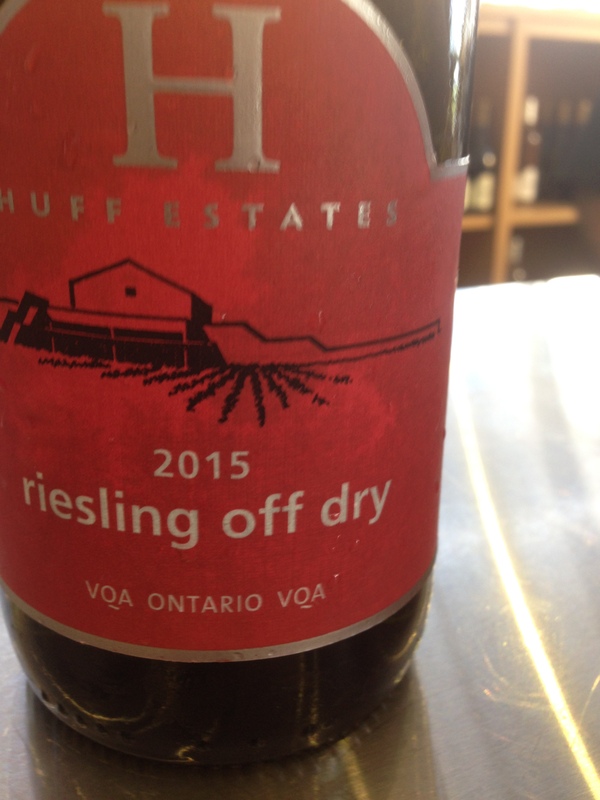 This 2015 off-dry Riesling has 22 grams of sugar for a nice tinge of sweetness. Beautiful citrus notes and flavors of tropical fruit, I had to buy a bottle of this wine to take home, so I could enjoy it again. I love Merlot. You’ve heard me mention before I thought Merlot got a bad rap in the movie Sideways, although I do love the movie. I still love Merlot though and I tried two at Huff Estates. The first one was interesting because it was a 2013, done in stainless steel and it saw no oak. You don’t often hear of a Merlot that doesn’t see oak. It was smooth and silky and still had those luscious plum flavors, and it was a little lighter on the palate. It wasn’t as heavy as some Merlot wines can be. I enjoyed it very much. But my heart went to the next Merlot we tried. 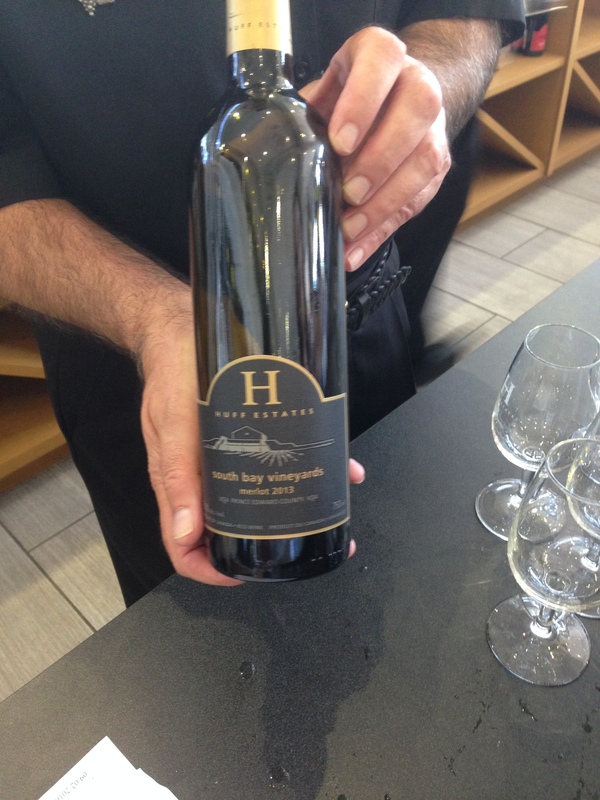 I fell in love while I was in Prince Edward County and it was with this South Bay Merlot. I bought him home as well, but I’m waiting for a special occasion to bring him out. 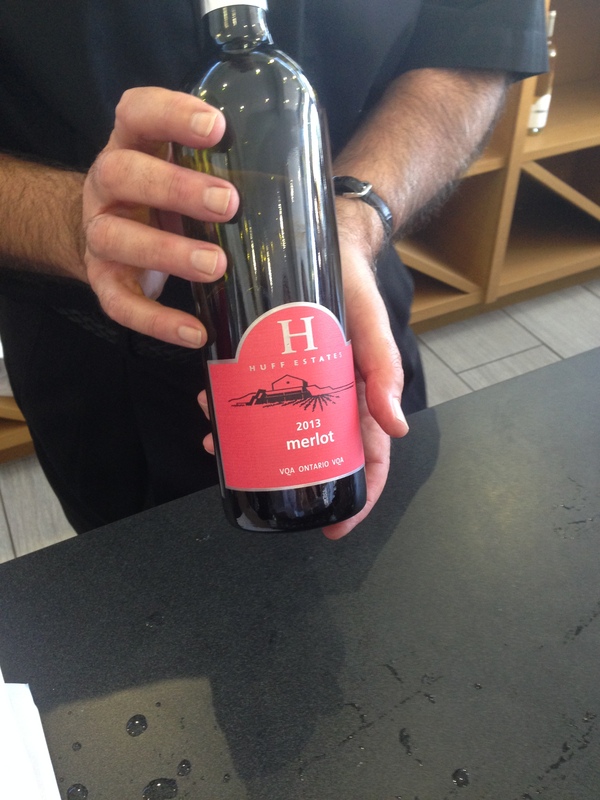 We enjoyed the 2013 South Bay Merlot and this baby spent 19 months in French Oak. I loved this wine, I loved the mouthfeel and I loved the generous palate. I loved the spicy notes on this wine. The winemaker at Huff Estates is from the Burgundy region of France, his name is Frederic Picard and he is making fabulous wine. To quote their website, they call it a ‘Merlot Concerto’. I would have to agree! Well it has been a busy few weeks for me. Between having family visit and doing some travelling I get to spend this weekend relaxing. 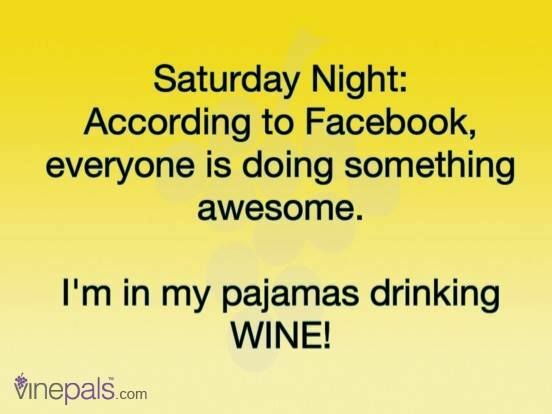 And yes, someone would probably find me tonight in my pyjamas sipping a fabulous wine! This entry was posted on September 17, 2016 at 11:29 am and is filed under Uncategorized. You can follow any responses to this entry through the RSS 2.0 feed. You can leave a response, or trackback from your own site.